Travel by water has always been closely intertwined with Canada’s history, economy and culture. The country is surrounded by oceans on three sides, partially bisected by the Great Lakes waterway and cross-hatched with inland rivers and lakes. 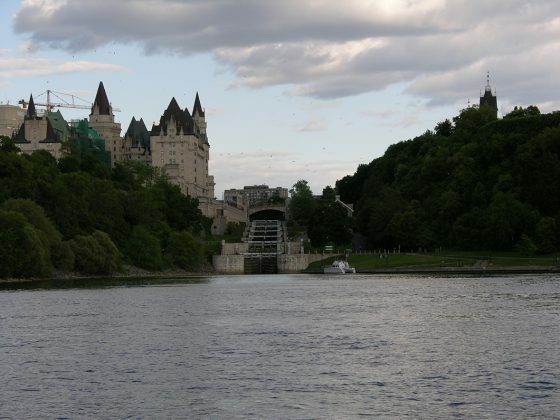 First Nations people and settlers alike relied on waterways. That’s great news for cruisers, who can unearth a rich vein of history almost anywhere they travel. 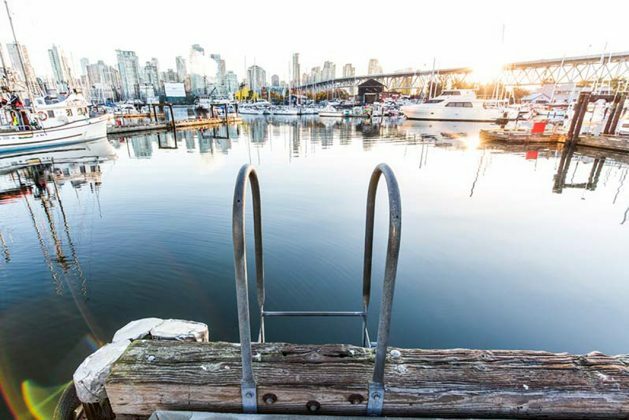 Knowing who travelled the waters before you, how waterways influenced settlement and development and the culture they helped to create can enhance cruisers’ enjoyment. 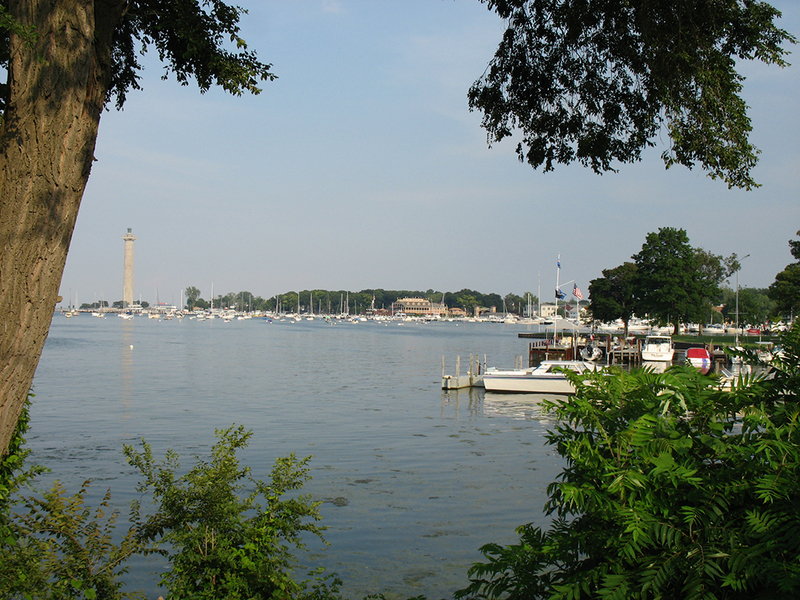 Scenery and solitude (or dockside amenities and nearby events) are great, but stories and history add significance. Across the country—and just over the border in the U.S.A.—some historical destinations and waterways stand out. Here are a few of my favourites. 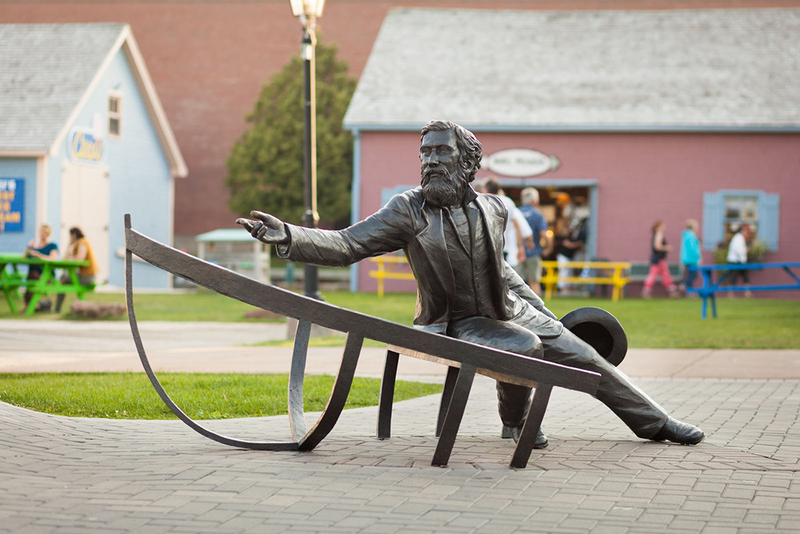 Prince Edward Island calls itself the “cradle of Confederation,” hinting at the Canadian political history you’ll find there. 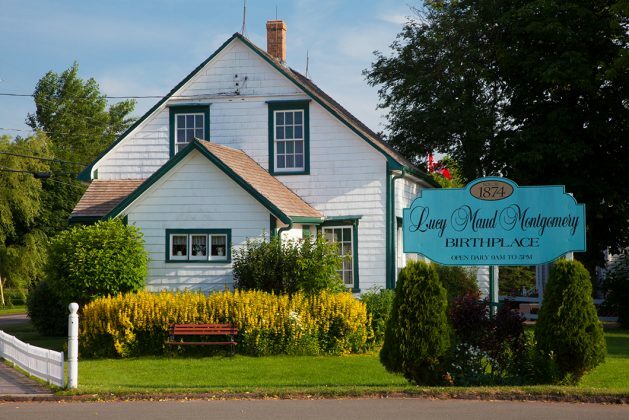 Also—if you’re a fan of Anne of Green Gables—it’s the birthplace of her creator, Lucy Maud Montgomery. Originally home to the Mi’kmaq people, the island was called Ile-Royale and settled by French Acadians in the early 1700s. Most Acadians were expelled in 1758 after a war between England and France. The island was then named for one of King George III’s sons and settled by the British. Today English, Acadian and First Nations culture are part of the cultural mix. For boaters especially, the Confederation connection is hard to avoid. Across the Northumberland Strait from Nova Scotia, in Charlottetown, P.E.I., the 175-slip Quartermaster Marina is practically part of a historic site: Peake’s Wharf, where Canada’s Father’s of Confederation landed 153 years ago. The conference they attended laid the groundwork for the nation we now know as Canada. The re-constructed wharf and replica buildings are a favourite waterfront summer destination, with shops, restaurants and musical entertainment in buildings and alongside a boardwalk. 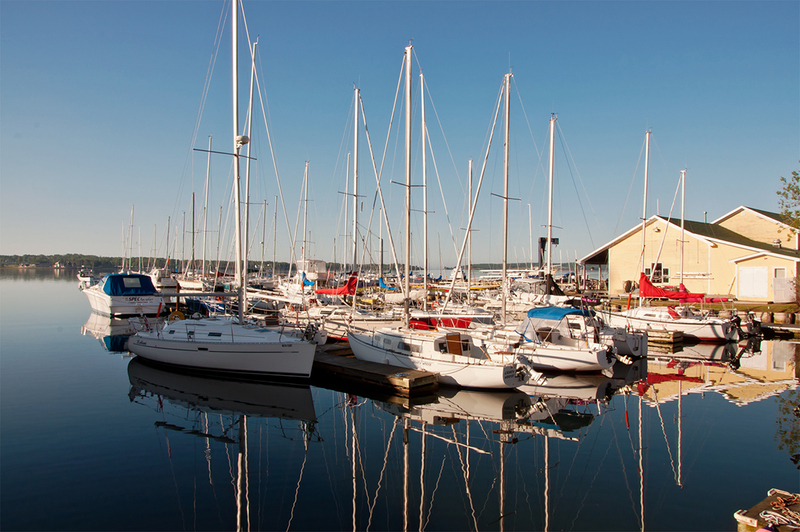 The Charlottetown Yacht Club, just southwest of Peake’s Wharf, also has transient slips, plus its own bar and grill. 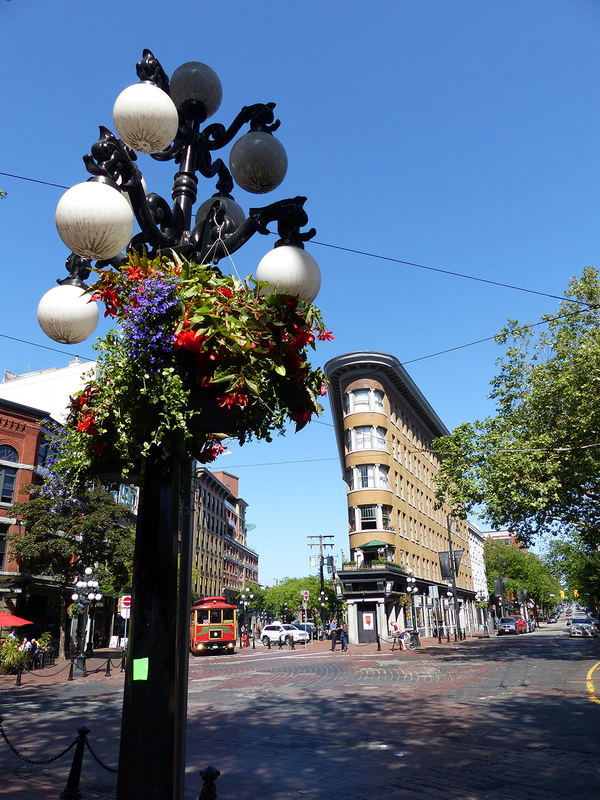 Downtown is nearby, with more places to eat. The Peake’s Quay Restaurant even has a patio overlooking the harbour. 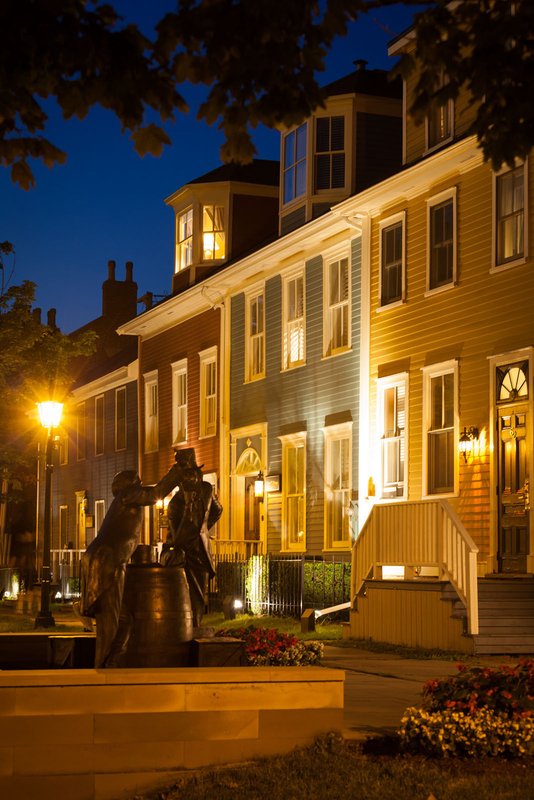 Further afield are the Water-Prince Corner Shop and Lobster Pound for island-style lobster, the PEI Brewing company’s Gahan House on Sydney Street for beer and concerts, and the Terre Rouge Craft Kitchen on Queen Street for fine local cuisine. 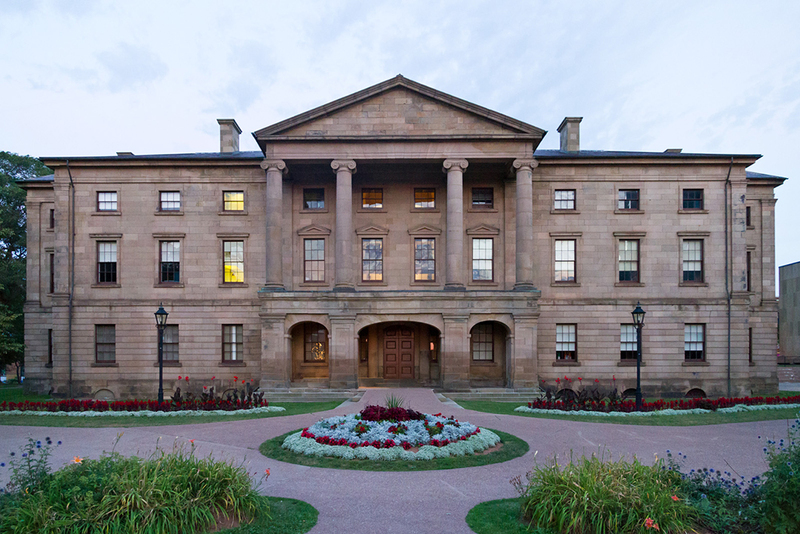 Site of the 1864 Confederation Conference is Province House and the little red-haired girl appears weekly every summer in the Anne of Green Gables musical, at the Confederation Centre for the Arts. 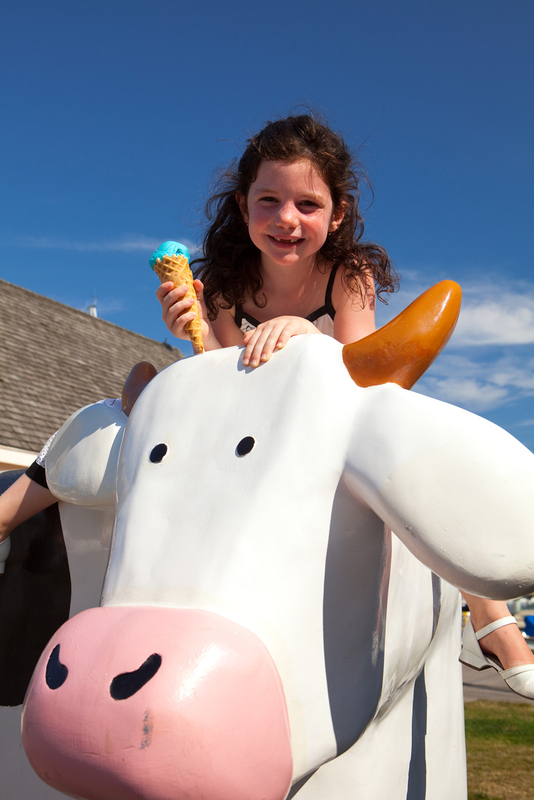 Soak it all in, but before leaving, be sure to enjoy some island-made Cows ice cream at one of many locations, including Peake’s Wharf. 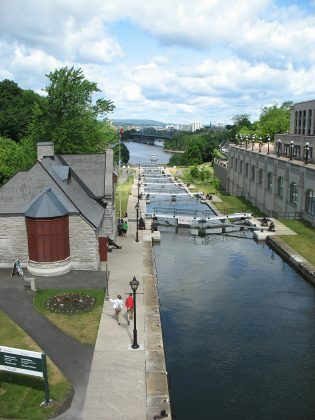 The entire 125-mile Rideau Canal waterway between Kingston, Ont., and Canada’s capital in Ottawa—completed in 1832 and overseen by Lt.-Col. John By of the British Royal Engineers—is a registered world heritage site. 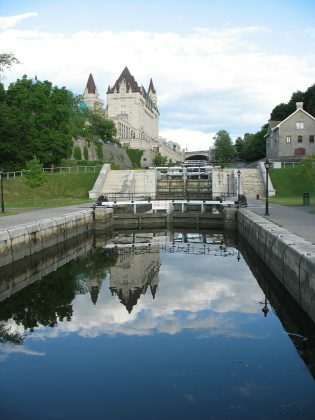 All but one of its 47 locks are operated by hand and 20 miles of actual canal join a series of lakes and rivers to form what is officially known as a slack-water canal system. There are historic towns along the route and lock-stations also provide overnight docking. Restaurants, shops and modern conveniences are often nearby. A must-do, relaxing cruise for powerboaters, the canal was originally created as a highly strategic military and civil transportation route. As a colony of Britain, Canada took part in the War of 1812-14 that pitted the United Kingdom against the former colony, the United States of America. In the aftermath, trade and military routes along the Great Lakes and the St. Lawrence River seemed too exposed to American military incursions. As a strategic move, the British built a canal. Its original significance is underlined when boaters reach the top of the eight-level flight locks in Ottawa. 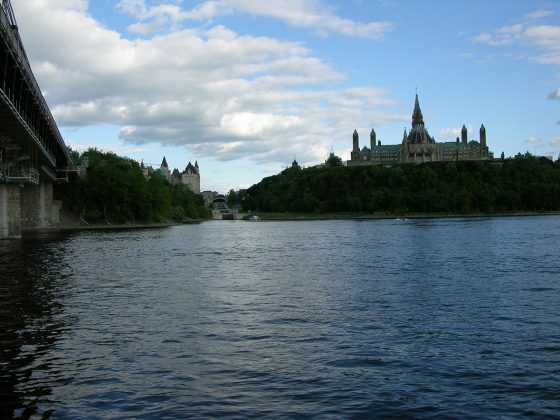 There, it’s a short walk west to Canada’s Parliament buildings, on the shore of the Rideau River. 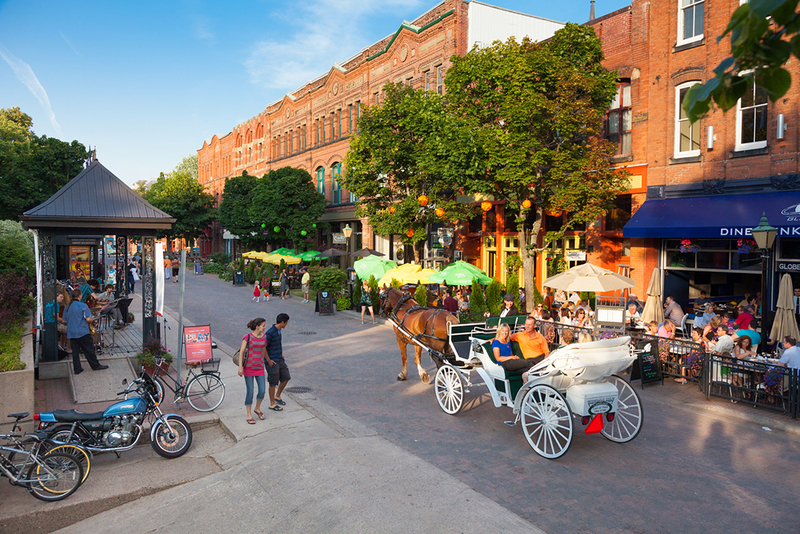 To the east is the ByWard market, with many shops and restaurants. Cruisers can tie up during the day on the northeast side of the canal past Lock 8 and check out the nearby National Arts Centre, National Gallery of Canada and Parliament Hill. 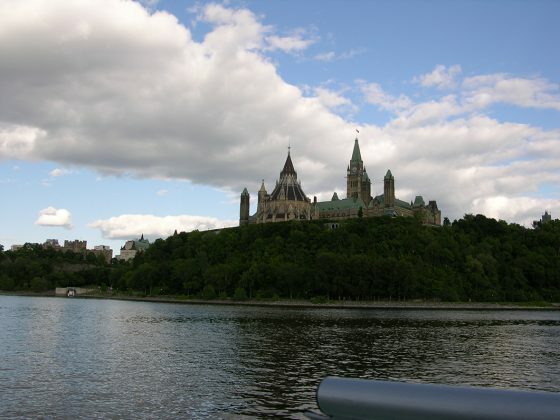 There are often special events at Ottawa’s many museums and there’s always a big show on Parliament Hill marking Canada’s birthday, July 1. This summer, to celebrate 150 years since Confederation—Canada’s sesquicentennial— the city is promising “the biggest birthday bash” since 1867. There’s also a new Canadian History Hall opening July 1 at the Canadian Museum of History, across the Ottawa River from the Parliament buildings. 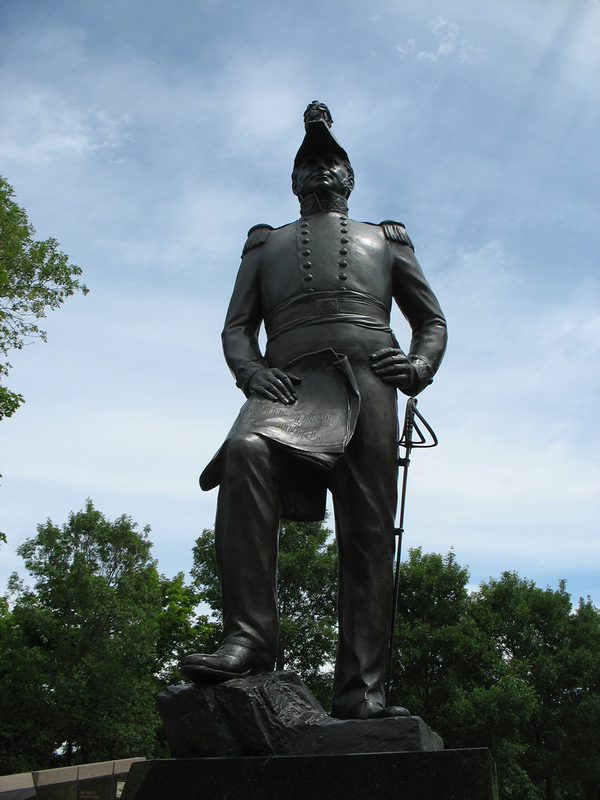 The War of 1812-14 was largely a standoff that left the border between Canada and the U.S.A. unchanged. 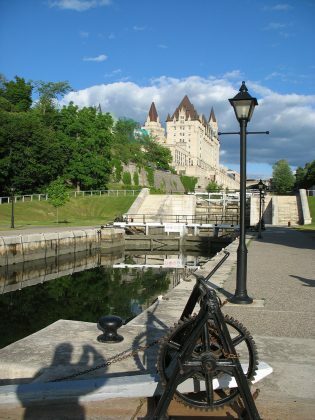 But one naval battle, that may have helped persuade the British authorities to build the Rideau Canal, took place Sept. 10, 1813, about 10 miles northwest of Put-In Bay, Ohio. 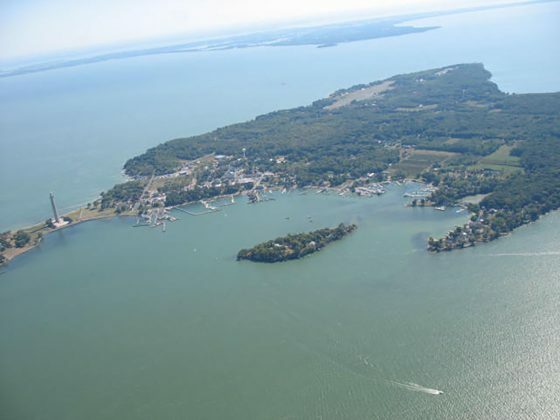 Six British warships sailed out of their base in Amherstburg, Ont., and challenged nine American ships that had been anchored at Put-In Bay at South Bass Island, in the western basin of Lake Erie. 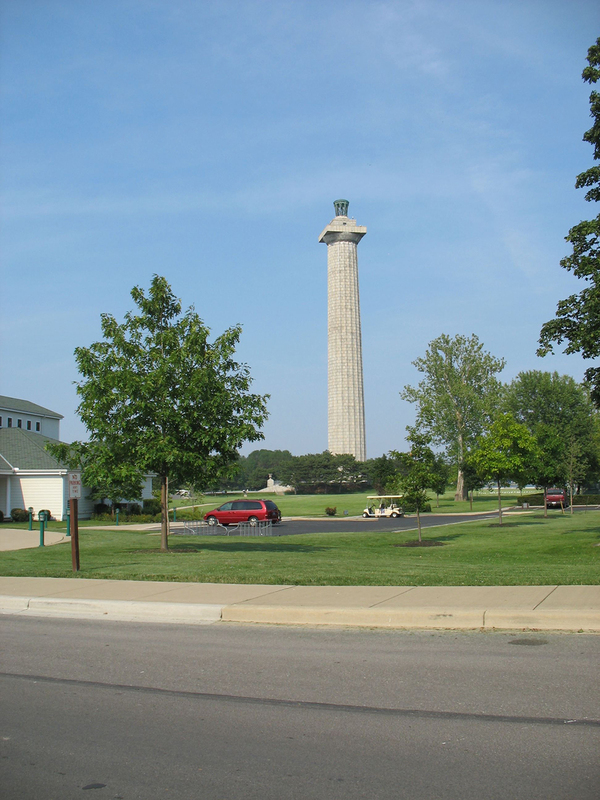 The ensuing battle only lasted a few hours, but ended up with a victory for U.S. Commodore Oliver Hazard Perry over the British led by Commodore Robert Barclay, with 41 dead, 94 injured and 306 British captured. Today, Put-In Bay is a summer tourist town that is invariably crowded with visitors who arrive in ferries and pleasureboats. 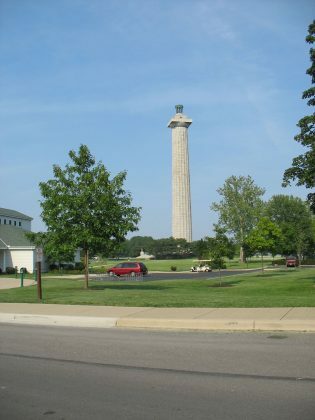 The only hint of past hostilities is Perry’s Victory and International Peace Memorial tower—serving primarily as a tourist attraction and a landmark to boaters—and a mini-putt golf attraction called The War of 18 Holes. There is a wide variety of restaurants and bars to serve the visitors, with transient docks available at three public marinas and two private ones. 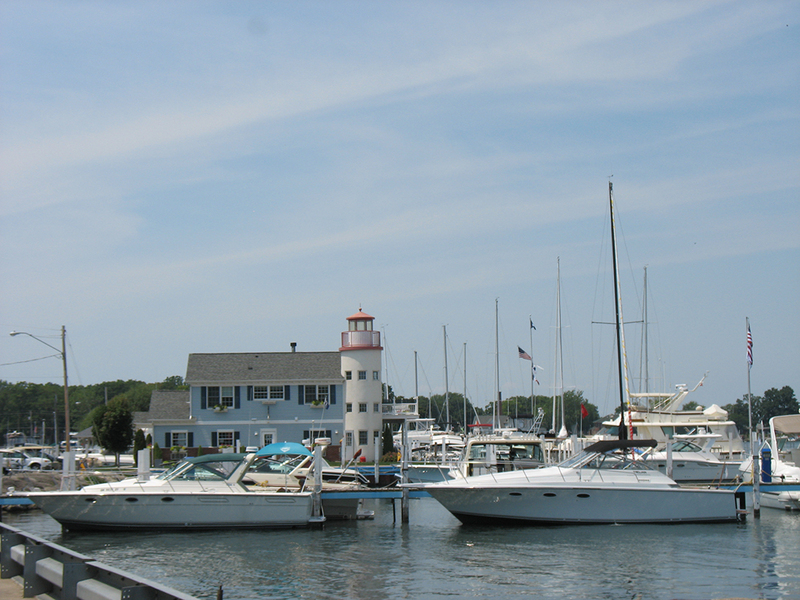 On busy summer weekends, at the village marinas, cruisers must be prepared to raft up to four deep. Many boaters come ready to party. 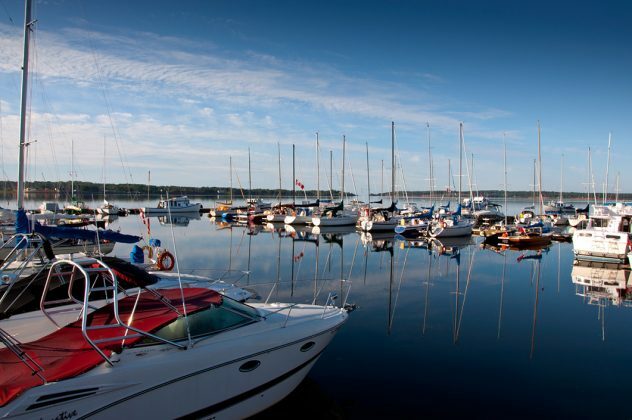 Canadian visitors are welcomed warmly, but must remember to have passports and their boat’s papers in order. Nexus Cards for everyone aboard—letting you clear customs in advance—are an even better bet. A war more than 200 years ago may fascinate some history buffs, but others will be more interested in the history of the music they enjoy and the artists who create it. For music fans cruising on Lake Erie, a stop at the Rock & Roll Hall of Fame and Museum in Cleveland is a must. For Canadian content, The Band, Neil Young, Joni Mitchell, Leonard Cohen and Rush are among inductees. For rock and rollers arriving by boat, it couldn’t be easier. The museum opened in 1995 on the Cleveland waterfront and the 53-slip Rock and Dock at North Coast Marina is literally next door. Boaters can drop in for the day or stay overnight to enjoy Cleveland’s nightlife or an event organized by the Hall of Fame. If the docks at the Rock Hall are already booked, the Marina at East 55th Street is a great alternative. 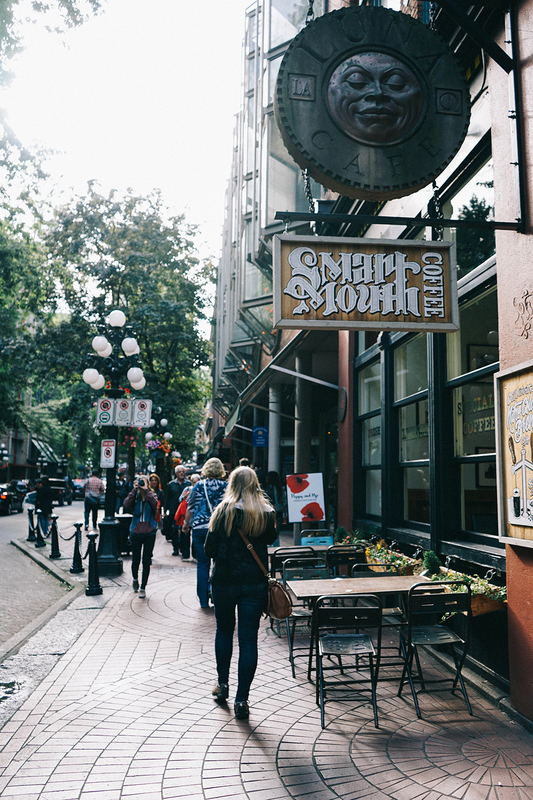 Operated by the city, it has transient slips and its own restaurant and bar. 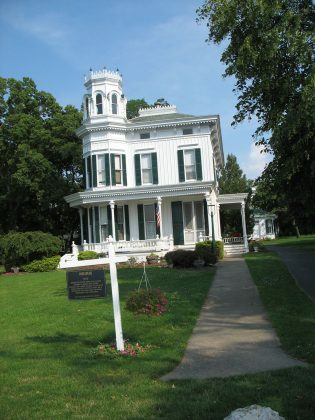 The museum suggests that visitors prepare to dedicate three to four hours for a visit. Given the range of memorabilia, video and music at the museum, that makes sense. 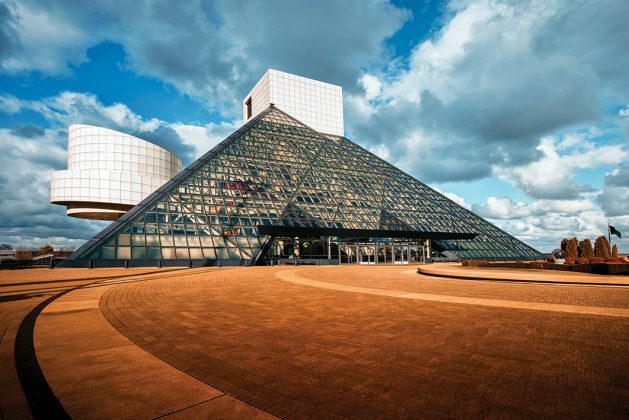 The Rock Hall cafe on the third floor is a good place to relax and refuel. Performers already inducted into the Hall range from Abba (2010) to Zappa (Frank, in 1995). There are displays on a wide range of performers, rotating on a regular basis. The British Invasion display, featuring The Beatles, is excellent. With artists being inducted every year and new exhibits appearing on a regular basis, music loving cruisers will likely want to keep coming back. Located at the mouth of the Fraser River, Vancouver is named for British naval captain and surveyor George Vancouver but has been occupied by Coast Salish indigenous people for at least 4,000 years. Spanish Captain Jose Maria Narvaez was the first European to begin exploring the Strait of Georgia area in 1791. 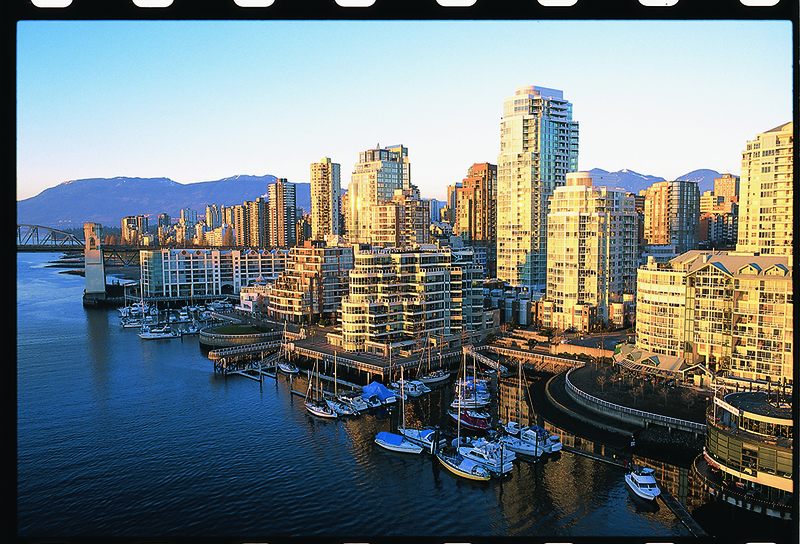 Vancouver arrived about a year later, but there was no European settlement until 1862. 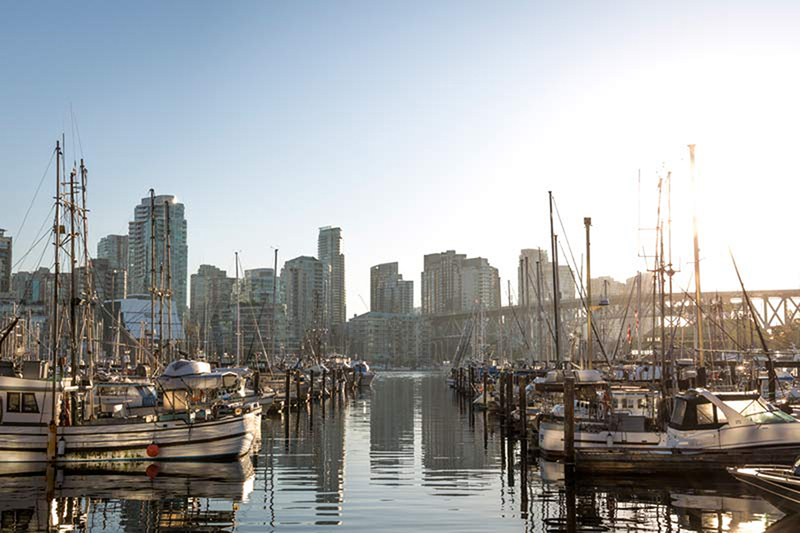 For cruisers—or boaters arriving by other means—False Creek is the perfect place to get a taste of the city’s waterfront. 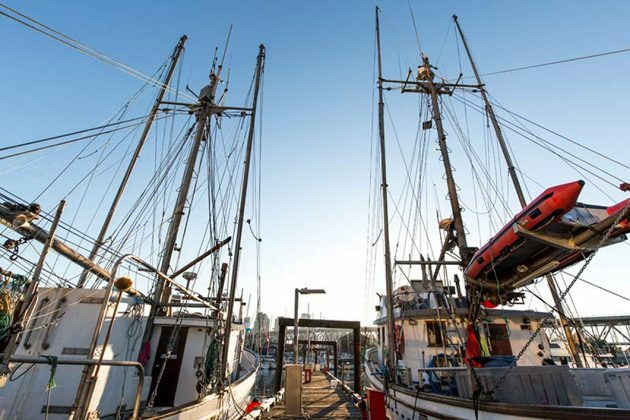 There are four marinas, including one devoted largely to liveaboards, plus easy access by small ferries to Vancouver’s downtown and the Vancouver Maritime Museum. 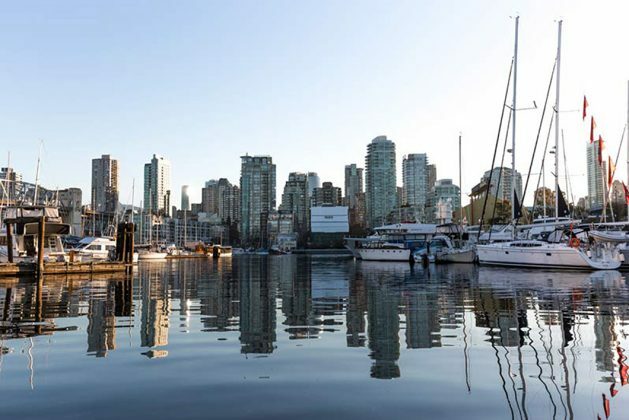 If you’re arriving by boat, reserve a slip at the False Creek Harbour Authority, Quayside Marina, False Creek Yacht Club or Heather Civic Marina. However you arrive, the best way to get around is in a False Creek Ferry or the similar Aquabus service. 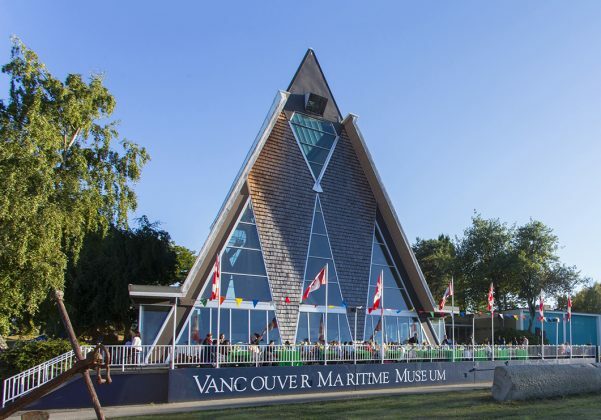 For a $15 day pass, you can travel by water from the Vancouver Maritime Museum in Kitsilano—home of the RCMP Arctic exploration ship St. Roch—to Science World at the east end of the inlet. There are stops at the public market on Granville Island, the swimming pools at the city Aquatic Centre, Yaletown and downtown Vancouver. 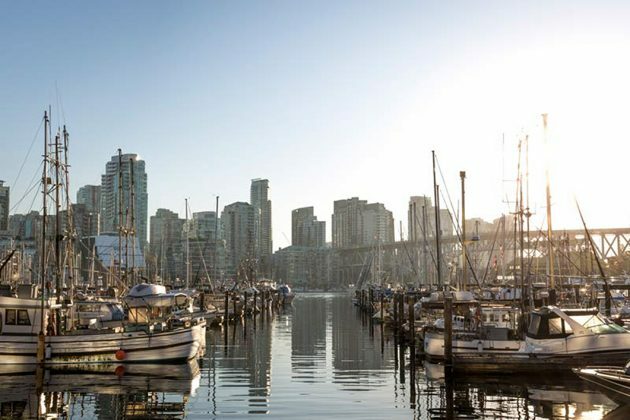 Vancouver’s Stanley Park and its perimeter path provide great views of English Bay and Vancouver Harbour, but the small ferries make False Creek the perfect place for visiting boaters. This article is featured in the 2107 Winter issue of Boats&Places.